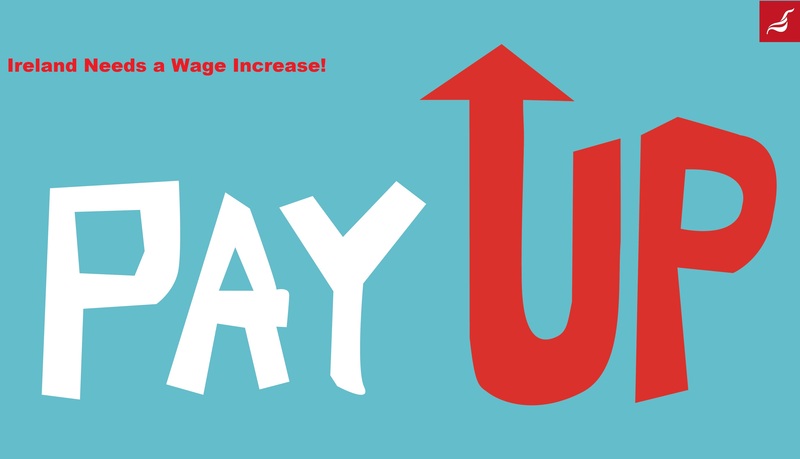 April 15th: Unite today (Wednesday April 15th) published its Submission to the Low Pay Commission, in which the union argues that a medium term (seven to ten year) strategy of increasing the National Minimum Wage to Living Wage levels would reap both social and economic benefits. The Submission also addresses the PRSI income trap whereby many low-paid workers find their net income falls as their wage rise. Unite proposes addressing this poverty trap by tapering the threshold combined with the phased elimination of the lower PRSI rate for employers: the two measures in conjunction would be cost-neutral. “Unite’s research again shows that Ireland is a low-wage economy compared with the EU-15. “Shockingly, ten per cent of Irish workers earn only just above the Minimum Wage. And the National Minimum Wage of €8.65 per hour is well below the Living Wage of €11.45 calculated last year as the minimum needed to provide an acceptable standard of living. It is therefore not surprising that in-work deprivation has reached crisis proportions. “In our Submission, Unite therefore outlines a feasible strategy to increase the Minimum Wage over the medium term – seven to ten years – in order to reach Living Wage levels. “Taking into account any likely increase in the Living Wage calculation, Unite has shown that raising the NMW to Living Wage levels would require average annual increases of six per cent over seven years, or five per cent over ten years. It should be noted that the average annual increase between 2000 and 2007 was higher than either of those scenarios. As a first step, Unite reiterates its demand that the Minimum Wage be increased by €1 per hour. “Transforming the Living Wage into a new wage floor not only benefits workers directly affected, it also has a positive ripple effect on wages above the minimum wage. The economy benefits in terms of increased tax, USC and PRSI revenue, reduced expenditure on subsidies such as Family Income Supplement and increased consumer spending leading to higher business turnover. “The question is not whether we can afford to tackle low pay – the question is whether we can afford not to do so”, Jimmy Kelly concluded. This entry was posted in Living Wage, Press Releases, Republic of Ireland news, Uncategorized and tagged Jimmy Kelly, Living Wage, Minimum Wage, Unite ROI, wages. Bookmark the permalink.